Rare photo of South Africans in action during World War 1. Battle of the Menin Road Ridge; part of the Ypres initiatives. 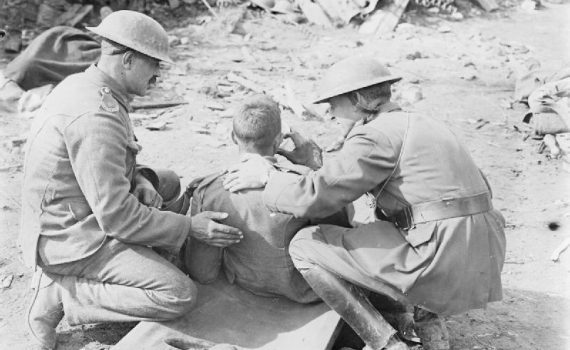 Here a wounded South African is being given a hot drink by a Padre and consoled by a fellow South African brother in arms, after the attack on Potsdam (a German stronghold near Zonnebeke). 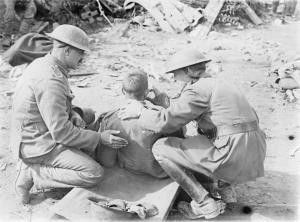 Near Potijze, 20 September 1917. Copyright Imperial War Museum Collection.